Antonio Criminisi was born in 1972 in Italy. In October 1990 he was appointed "Alfiere del Lavoro" by the Italian President F. Cossiga for his successful studies. In July 1996 he received a Degree in Electronics Engineering at the University of Palermo and in December 1999, he obtained a "Doctor of Philosophy" (PhD) Degree in Computer Vision at the University of Oxford. His thesis "Accurate Visual Metrology from Single and Multiple Uncalibrated Images" won the British Computer Society Distinguished Dissertation Award for the year 2000 and was published by Springer-Verlag London Ltd. in August 2001. Antonio was a Research Fellow at Clare Hall College, Cambridge from 2002 to 2005. Antonio has won a number of best paper prizes in top computer vision conferences. 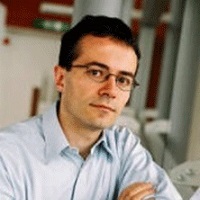 In June 2000 Antonio Criminisi joined Microsoft Research in Cambridge (Machine Learning and Perception group) as a Visiting Researcher. In February 2001 he moved to the Interactive Visual Media Group in Redmond (WA, USA) as a Post-Doctorate Researcher. In October 2002 he moved back to the Machine Learning and Perception Group in Cambridge as a Researcher. In September 2011 he became Senior Researcher and is now leading the medical image analysis team. Antonio's current research interests are in the area of medical image analysis, object category recognition, image and video analysis and editing, one-to-one teleconferencing, 3D reconstruction from single and multiple images with application to virtual reality, forensic science and history of art. MATLAB is a state-of-the-art software for image processing and computer vision, with a wide range of capabilities from improving MRI accuracy and assessing burn injuries, to reconstructing key protein complexes and building next-generation retinal prostheses. In this workshop, we will introduce MATLAB with Image Processing Toolbox as a comprehensive environment for accessing, processing and visualizing medical images, as well as rapid algorithm development. In practice, the fraction of tissue containing metastatic lesions is a strong prognostic indicator of survival longevity for certain types of cancer. Effective and accurate ways of segmenting and quantifying metastases can be crucial for evaluating cancer treatment response. The same techniques can be applied to a wide range of other medical and microscopic imaging applications, enabling you to quickly achieve equally compelling results. Jasmina is an application engineer at MathWorks, specialising in optimisation techniques and image processing in MATLAB. 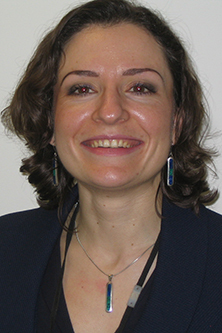 Before joining MathWorks in 2011, Jasmina held a number of academic positions focused on research in global optimisation and heuristic design. She has publications in the areas of mixed-integer programming and clustering. Jasmina has a Ph.D. in mathematics from Brunel University and a diploma degree in mathematics and computer science from the University of Belgrade in Serbia.